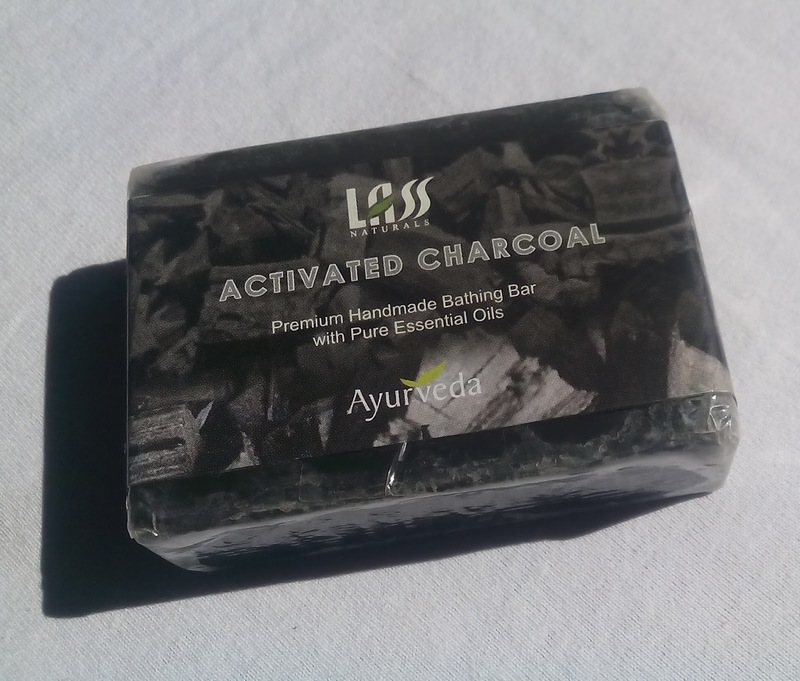 Activated Charcoal is super antioxidant it neutralizes and absorbs impurities from pollution, toxins to cleanse the skin, unclog pores and remove deeper impurities and dead skin cells. 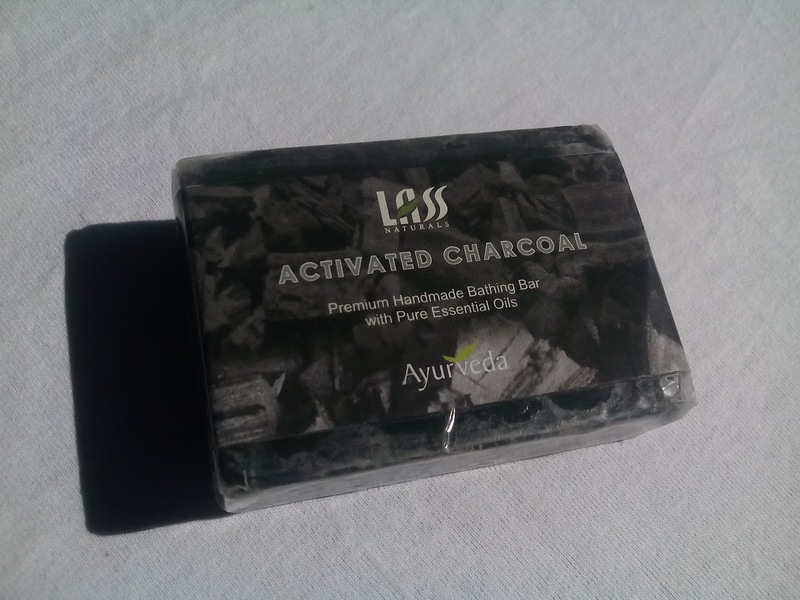 Leaving supple, clean, detoxified and smooth skin. 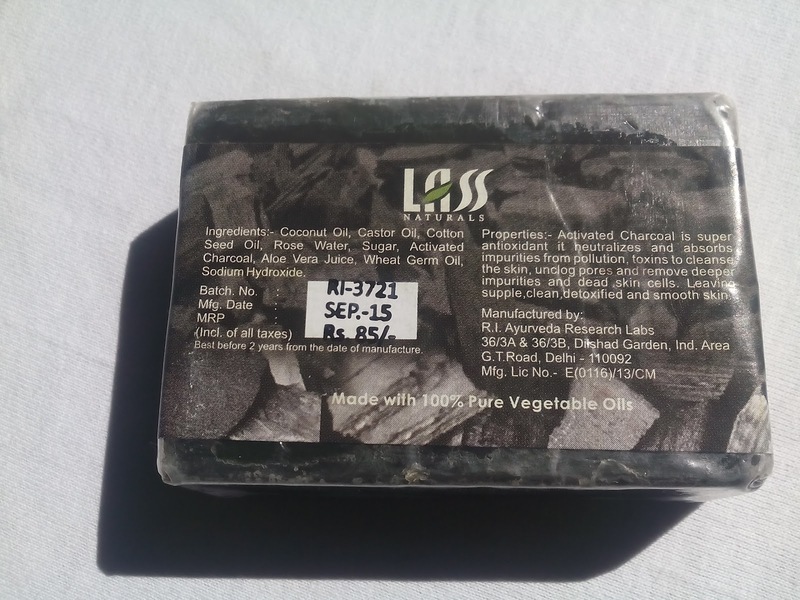 The Lass Naturals Activated Charcoal Soap comes in a clear plastic wrapped sheet with product information on it. Activated Charcoal Soap ( With Aloe Vera)Coconut Oil, Castor Oil, Cotton Seed Oil, Sugar, Activated Charcoal, Aloe Vera Juice, Wheat Germ Oil, Rose Water. The scent of Lass Naturals Activated Charcoal Soap is like minty and it is so refreshing. This soap removes all the dirt and impurities from my face. It also helps in preventing the recurrence of acne. It cleanse my skin so well even in winters. 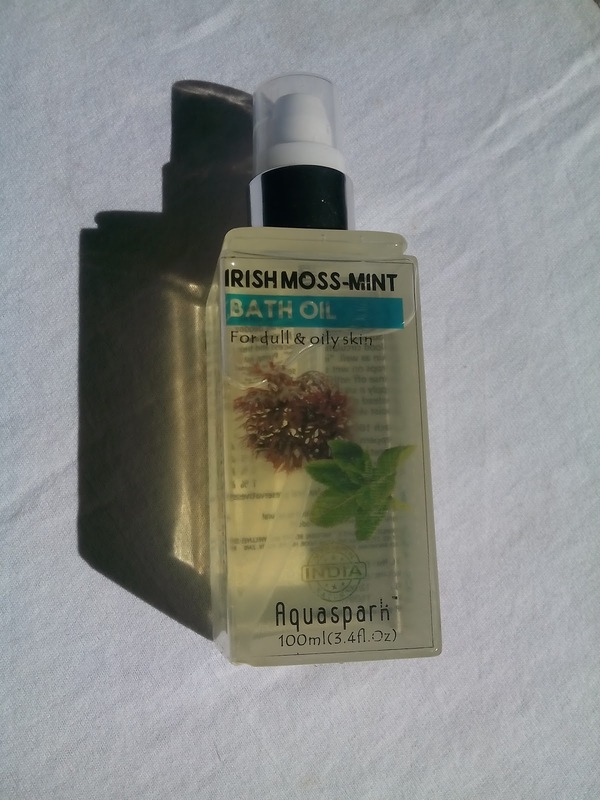 Treat your skin to our Irish Moss - Mint Bath Oil. 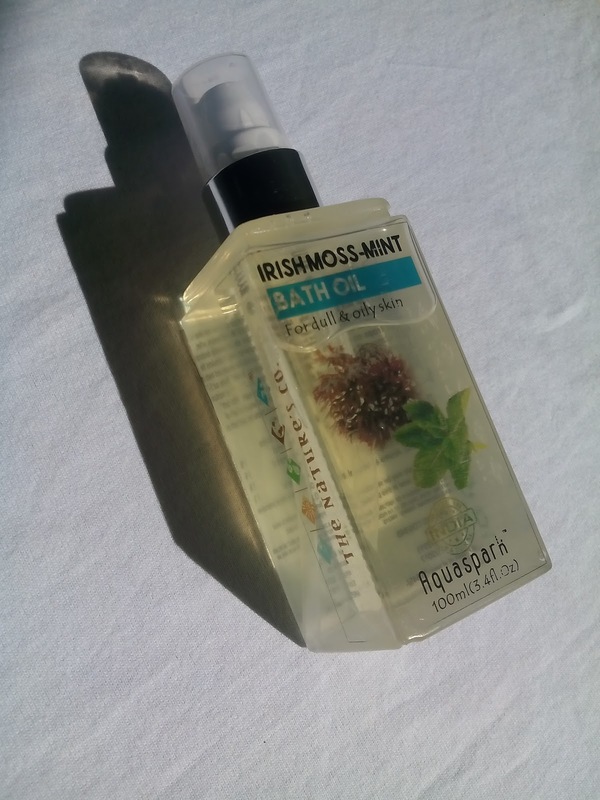 Mint will hydrate, soften, refresh, relax and naturally deodorize your skin and body. It stimulates the blood circulation process, and treat dry skin as well. 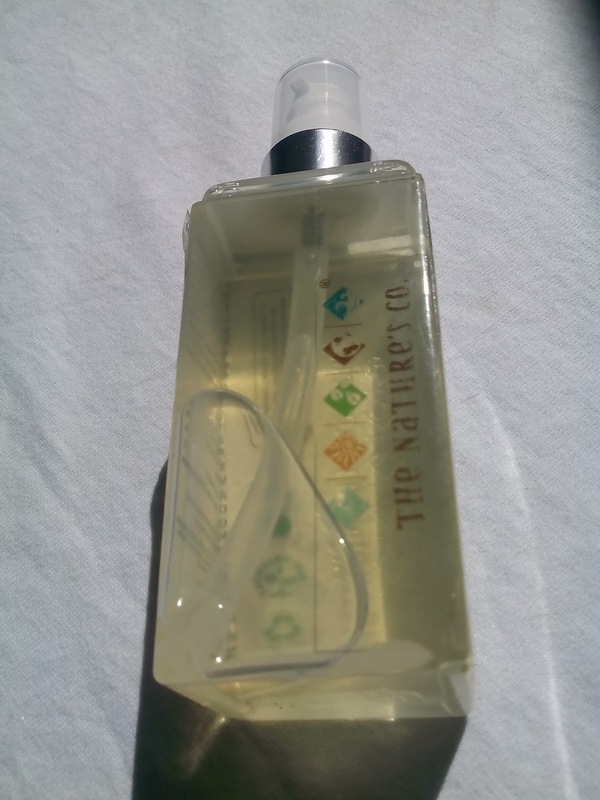 It comes in a rectangular size plastic bottle with a sturdy pump. The pump has a cap on its nozzle apart from there being the regular cap for the bottle. 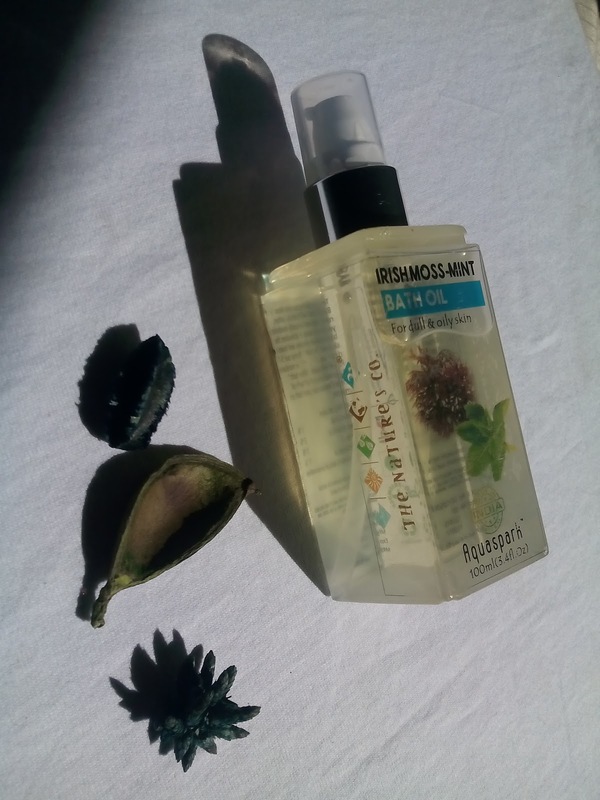 Peppermint Oil, Sweet Almond oil, Vitamin E, Apricot Kernel Oil. Pump out 5-7 drops on wet skin to seal the moisture. Apply a small amount of bath oil instead of moisturizer post bath on moist skin. I prefer using it after bath instead of in the bath. It has very mild and refreshing fragrance. The moisturizing power is pretty good, it is great for dry skin. My skin felt really hydrated and relaxed after using this. 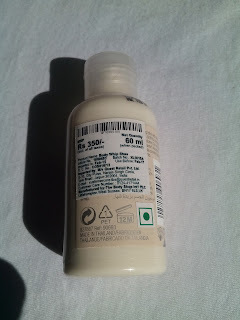 The Body Shop, incorporated as The Body Shop International PLC, is a British cosmetics and skin care company owned by L'Oréal. 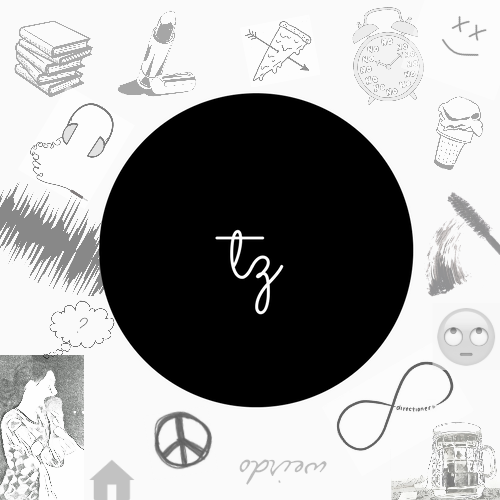 It was was founded in 1976 by Anita Roddick and currently has a range of 1,200 products which it sells in 2,500 franchised stores in 61 countries. 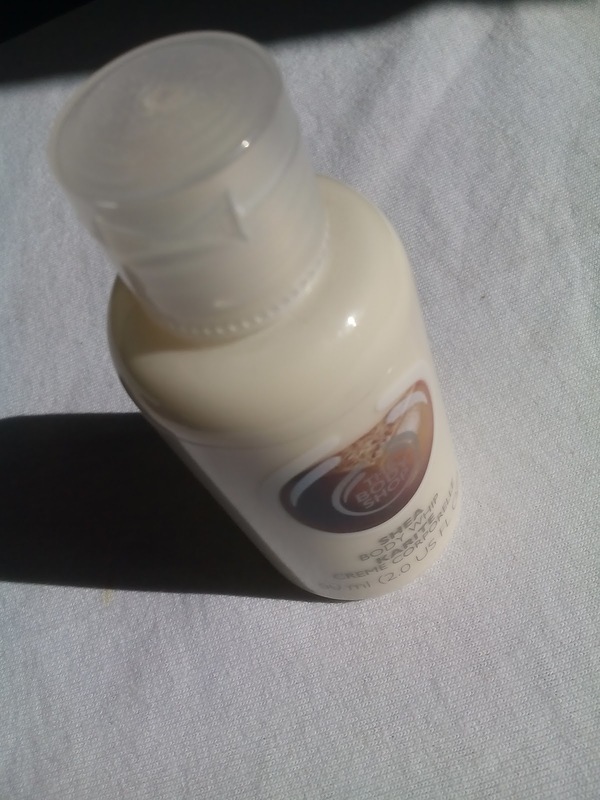 Light and fluffy, this quick-absorbing, non-greasy whipped cream lotion, with rich and velvety natural ingredients, smoothes easily over the skin, leaving it feeling well moisturised, soft and supple. 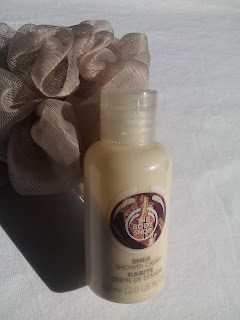 The Body Shop Shea Whip Body Lotion comes in a clear plastic bottle. The cap features a flip-top lid. 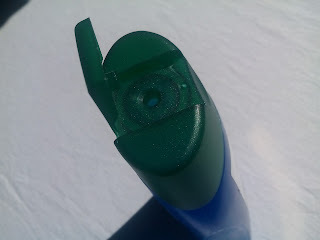 The cap can also be rotated to open. 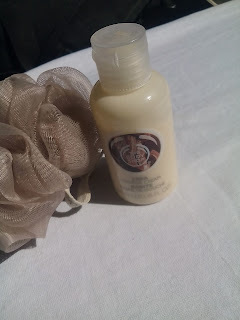 Texture of this body whip is like a thick and smooth and it absorbs pretty quickly. The fragrance is so warm and comforting. It is very long lasting. After applying it my skin was soft and velvety smooth. I ain't feel like moisturizing again later in the whole day. 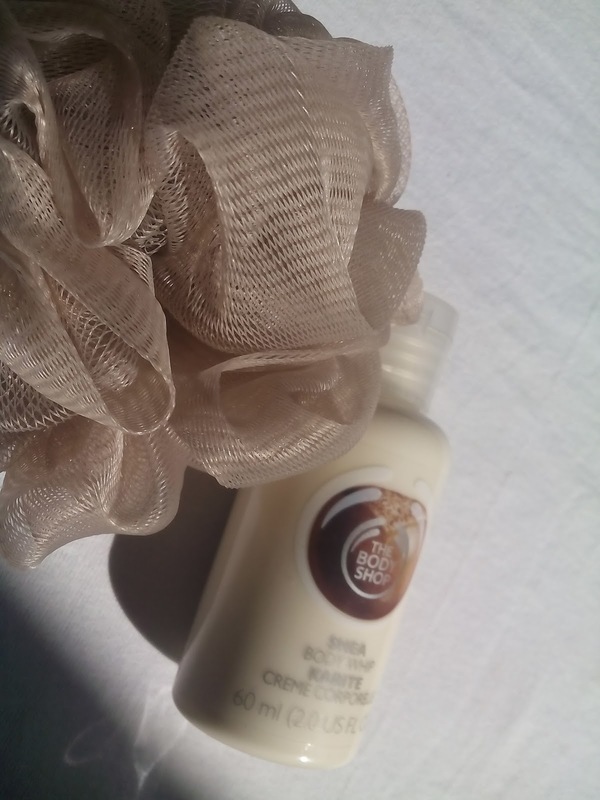 This luxury shower cream is your best bet if you want a nice, moisturizing bath. This Shea butter based shower cream is essentially soap-free and produces an aromatic, skin-softening lather. 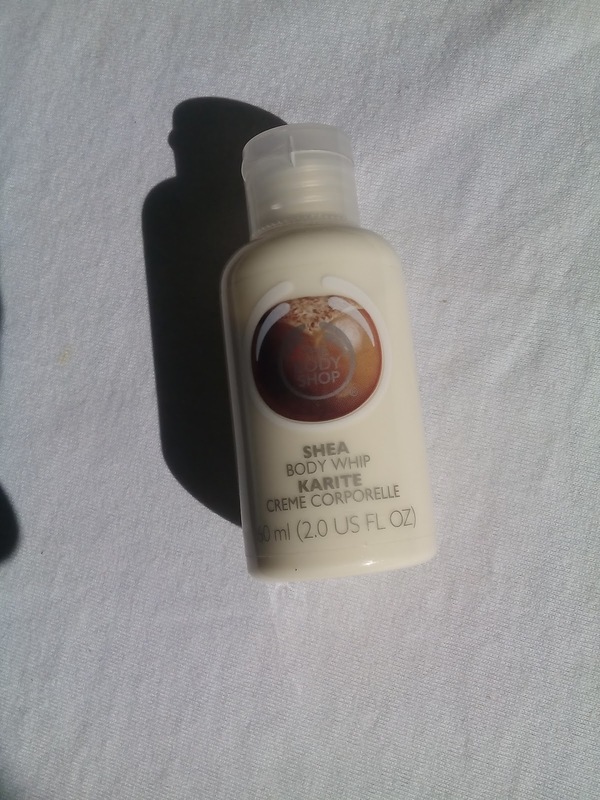 The Body Shop Shea Shower Cream comes in a clear plastic bottle. Aqua/Water/Eau (Solvent/Diluent), Helianthus Annuus Seed Oil/Helianthus Annuus (Sunflower) Seed Oil (Emollient), Sodium Laureth Sulfate (Surfactant), PEG-5 Cocamide (Surfactant), Coco-Glucoside (Surfactant), Parfum/Fragrance (Fragrance), Cocamidopropyl Betaine (Surfactant), Acrylates/C10-30 Alkyl Acrylate Crosspolymer (Stabiliser/Viscosity Modifier), Butyrospermum Parkii/Butyrospermum Parkii (Shea Butter) (Skin-Conditioning Agent/Emollient), Sesamum Indicum Seed Oil/Sesamum Indicum (Sesame) Seed Oil (Skin-Conditioning Agent), Phenoxyethanol (Preservative), Sodium Benzoate (Preservative), Sodium Hydroxide (pH Adjuster), Sodium Chloride (Viscosity Modifier), Disodium EDTA (Chelating Agent), Linalool (Fragrance Ingredient), Tocopherol (Antioxidant), Coumarin (Fragrance Ingredient), Alpha-Isomethyl Ionone (Fragrance Ingredient), Citric Acid (pH Adjuster), Caramel (Colour), CI 15985/Yellow 6 (Colour). 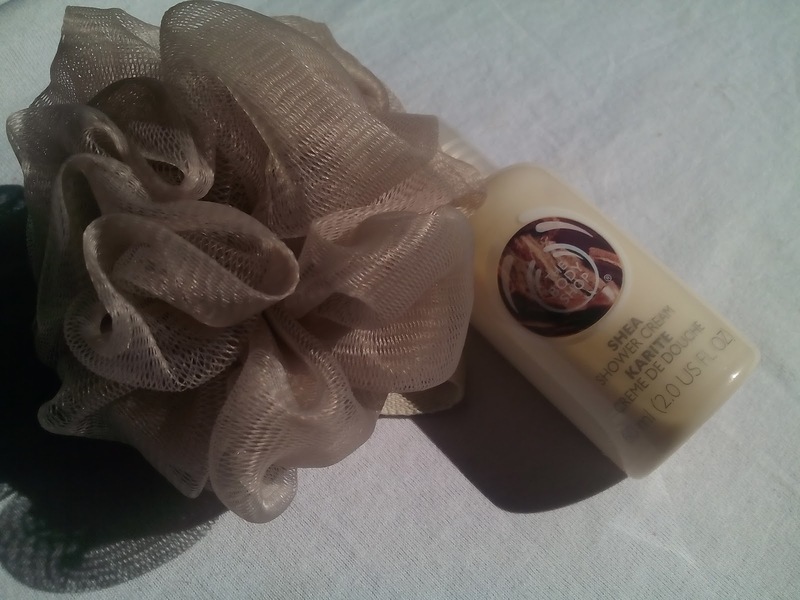 The scent of this shower cream is so lovely! It based on shea nuts. It comes in a kind of beige color. 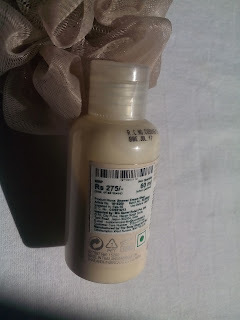 The texture is creamy and it lathers evenly. 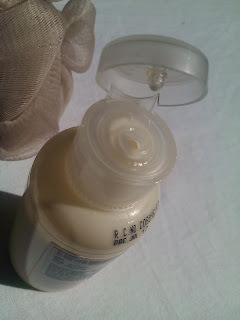 It moisturized my skin skin so well. I aint't feel like applying body butter after the bath. The Fashion Brow Pencil is an all-in-one pen for your eyebrow that gives you the sharpness of a 0.2mm micro lead fixing pencil and the softness of filling natural mineral powder. 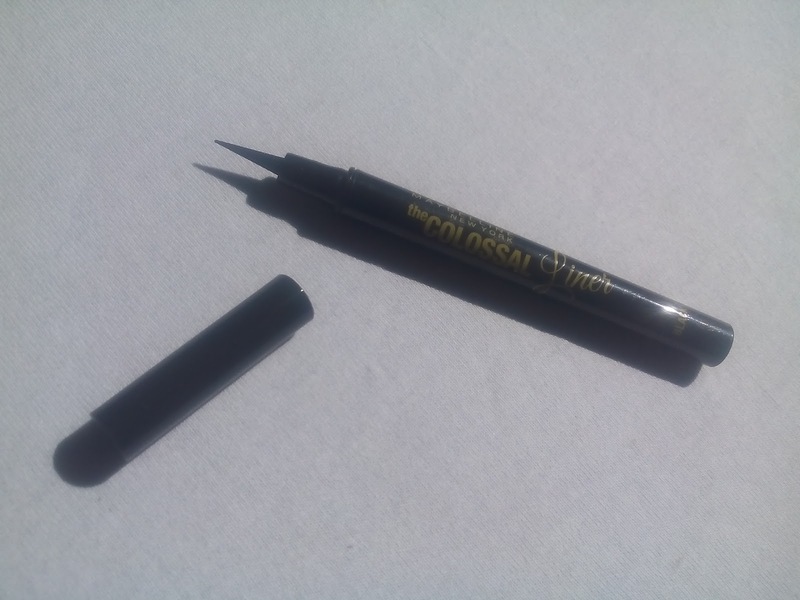 It is the ultimate duo shaper that gives you ultra-soft precision for perfectly defined eyebrows up to 12 hours. 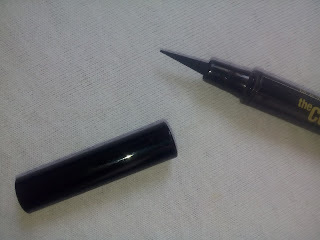 It fixes gaps and blends seamlessly for smooth, stunning brows. 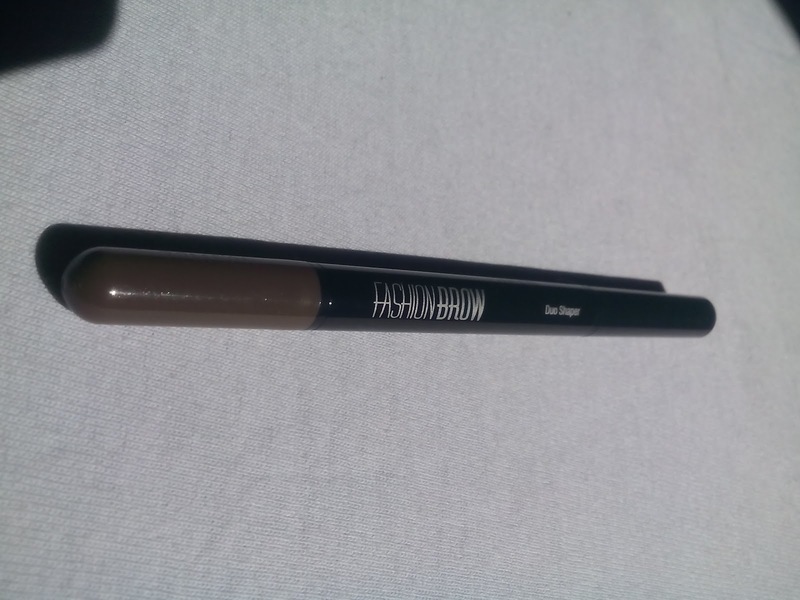 This brow duo shaper comes in a sleek two sided form with colored caps each side. 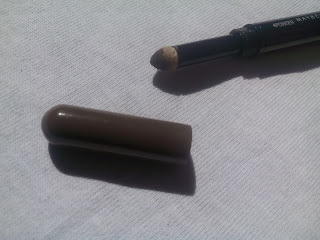 As it’s a duo shaper, it is has a pencil side and a powder side. 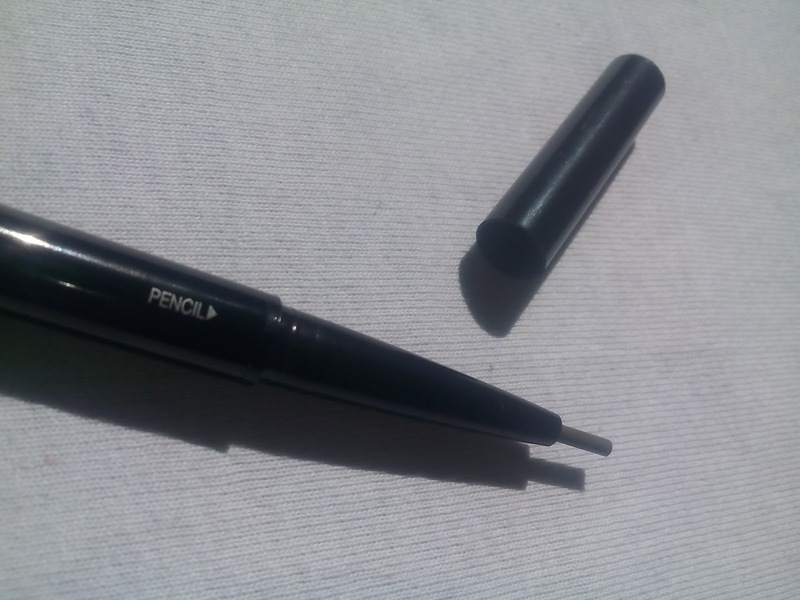 The pencil end is really fine and is meant to define the outer shape of the brows. While on the other end the brow powder side has a screw on cap which twists the sponge applicator and make the product come on top to use. Both the sides have separate caps to secure the tip. Personally I have slightly brown colored hair, so I prefer this brown shade over the grey. 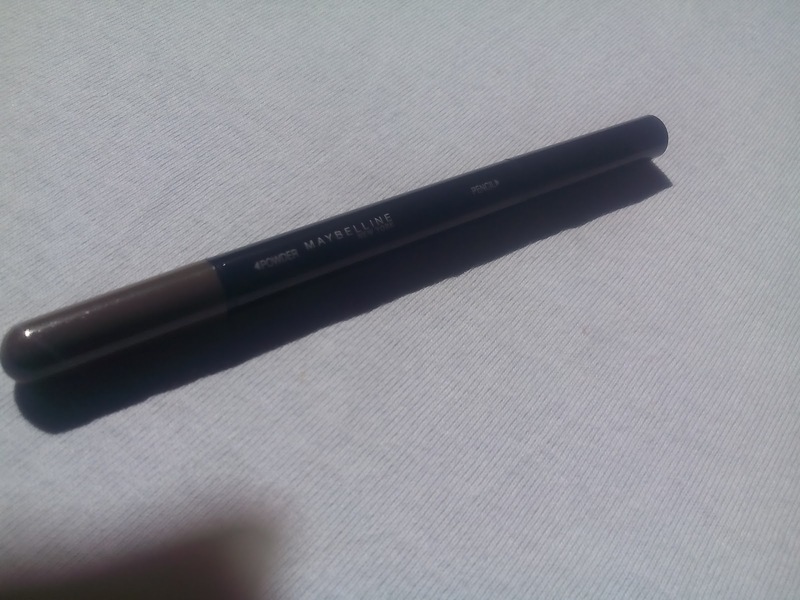 It perfectly blends all over the brows and makes them look fully defined. The powder applicator is great to get a natural finish. Being said that it’s waterproof to an extent, a splash of water does not do any harm. 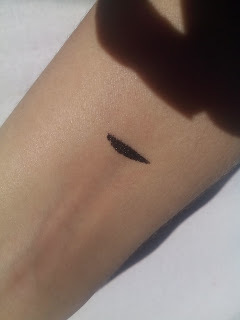 It lasts on my eyebrows for the whole day without budging. This works really well on my brows. The Maybelline colossal eye liner comes in a very sleek and edgy packaging. 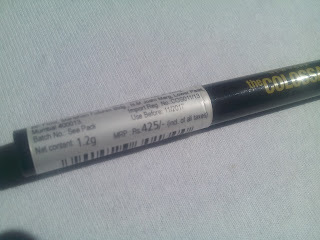 It in a slim, pen form with a firm yet flexible felt tip. The packing is very handy and does not leak, the cap does not come off easily which makes it travel friendly. 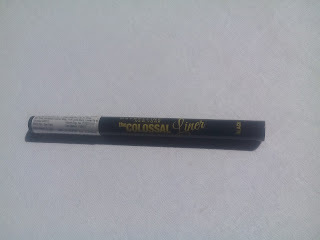 The intensity of the liner is great, it has the intensity of the famous colossal kajal which is ultra-black. 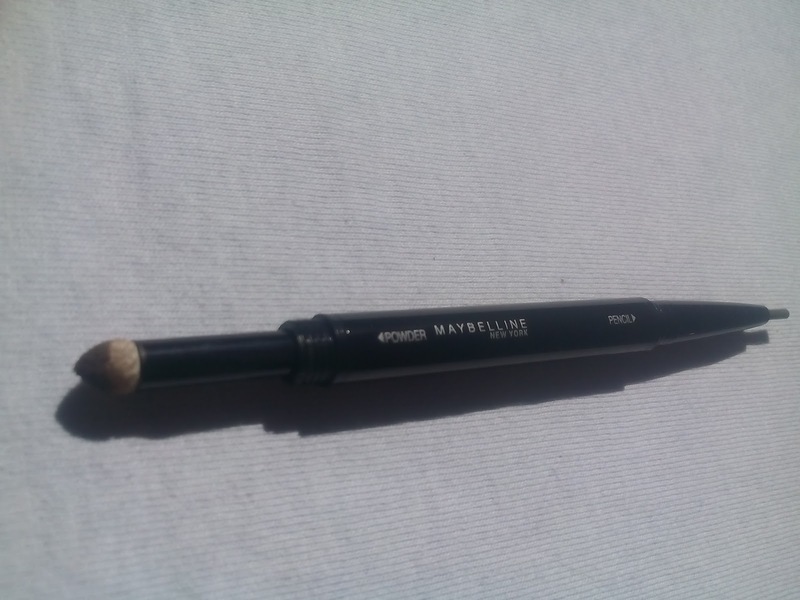 It does not get patchy during application and gives an even finish every single time. The formula dries quickly and has a soft satin finish – neither matte nor glossy. It gives great color in a single layer without any flaking. It stays for about 9-10 hours on me without fading. 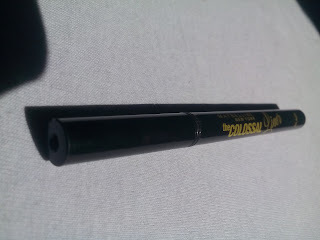 Currently the Maybelline Colossal Liquid Liner comes in only shade -Black and how I wish they launch many more shades in the range. Get runway-ready lips with MNY Color Show Lip Colors, brilliant lipsticks straight from the New York Fashion Week. 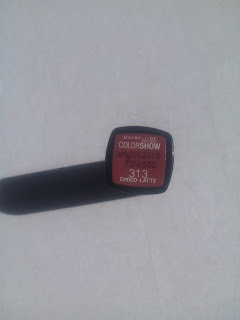 The Maybelline Color Show lipstick range has lip colors in four stunning hues – reds, pinks, browns and mauves. 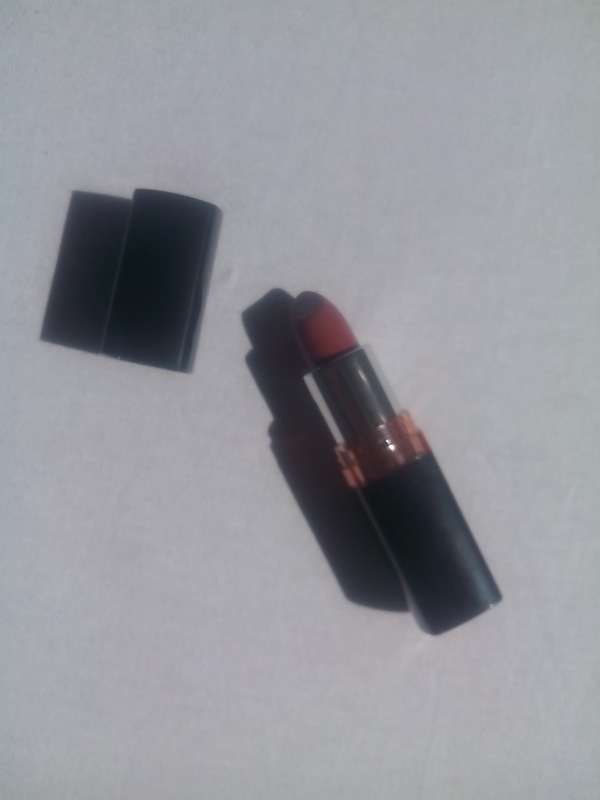 Offering 27 shades, this lip color range has a lipstick for every mood! The Color Show lipsticks have vibrant color pigments and a soft, non-sticky texture. The best part is that they also moisturize your lips, keeping them soft and supple. 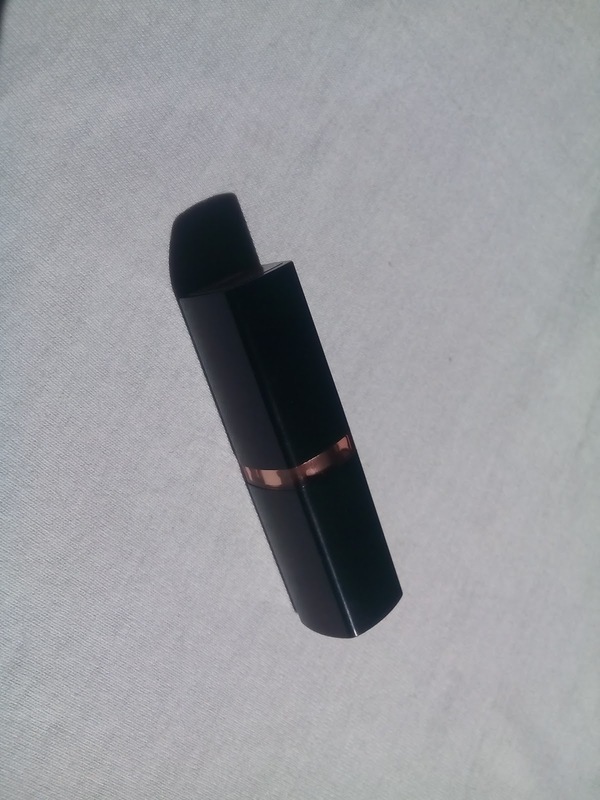 The lipstick comes in a shiny black plastic rectangular packaging. The colors are shown on the band that we see in the middle. 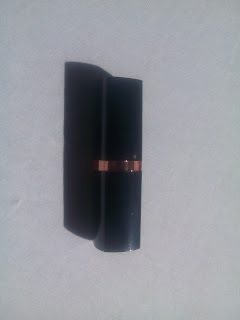 The packaging is simple yet functional, the lipsticks lock with a click sound and the cap always stays put. For a perfect lip shape: start in the middle of the lips, smoothing out to the corners of the mouth. 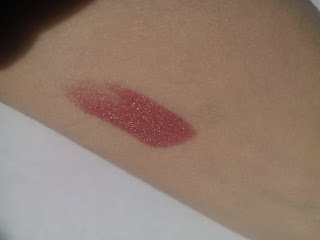 I love the pigmentation as well, It feels soft in one go. 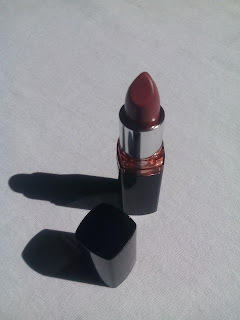 The formula of the lipstick is really moisturising, but it does not appear overly creamy or glossy on the lips. These apply like breeze and stays for long too. It is not at all drying for the lips. It has an average staying power of 3 to 4 hours. 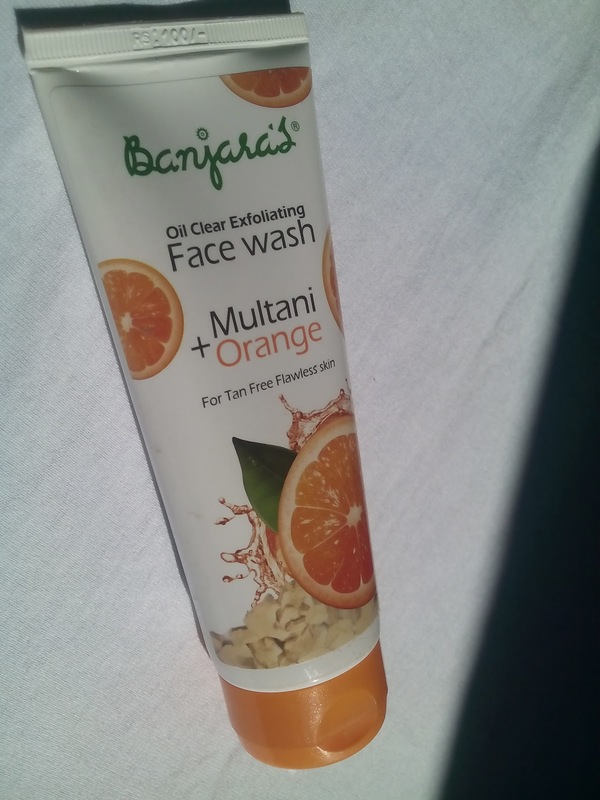 Banjara’s oil clearing exfoliating face wash has a unique combination of Multani mitti and orange peel to give you the flawless beautiful skin you always aspired for. 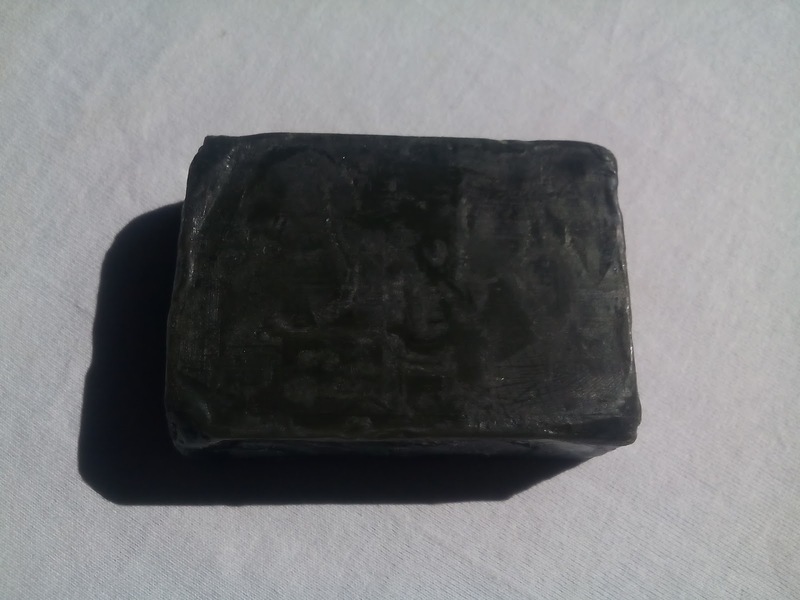 Multani mitti absorbs absorbs excess oil, controls accumulation of sebum thereby prevents pimples from occurring. 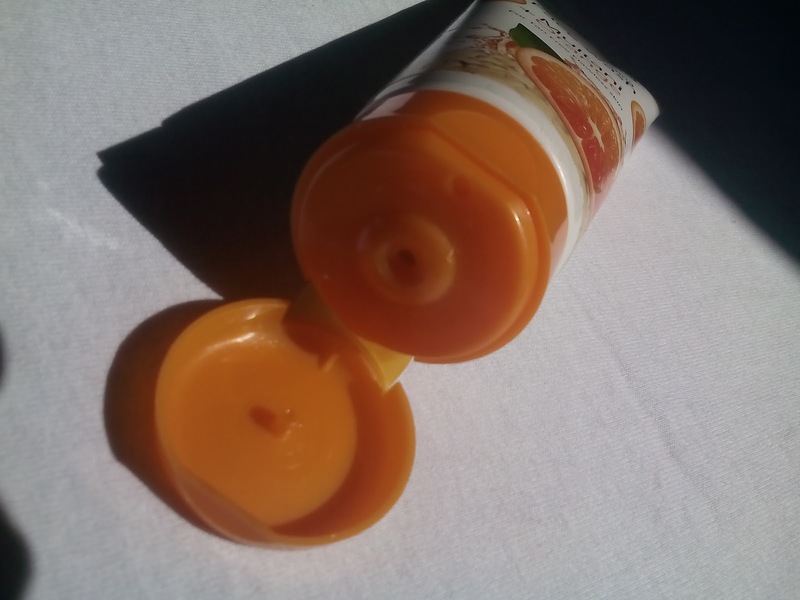 Orange peel gently exfoliates the skin and removes dead skin cells to reveal a soft and supple skin. 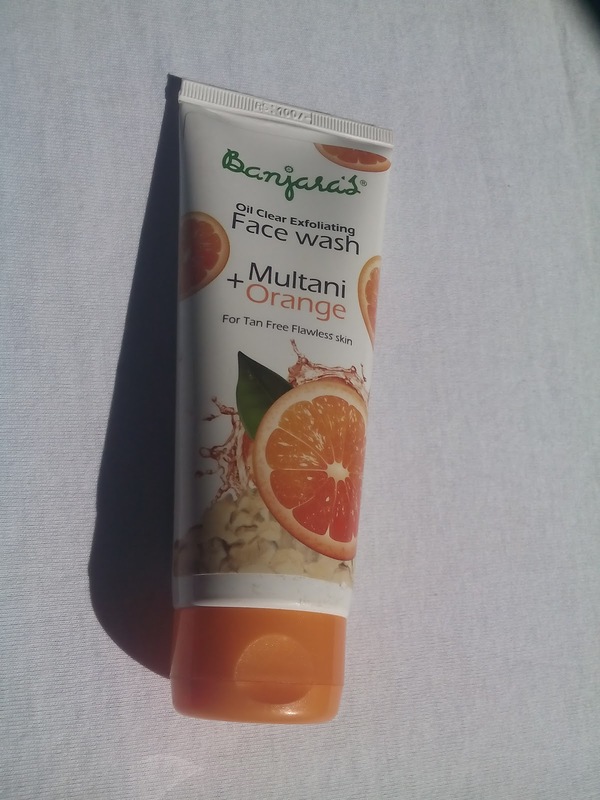 This soap free face wash is enriched with natural moisturizers and antioxidants that help in getting rid of sun tan and ill effects of pollution leading to a tan free flawless skin. 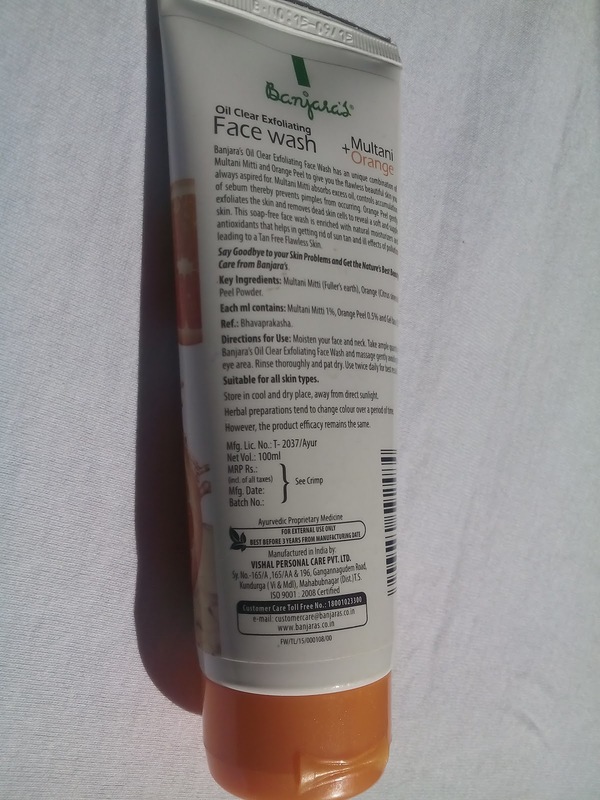 The face wash comes in a white tube packaging in white and bright orange colored flip cap. 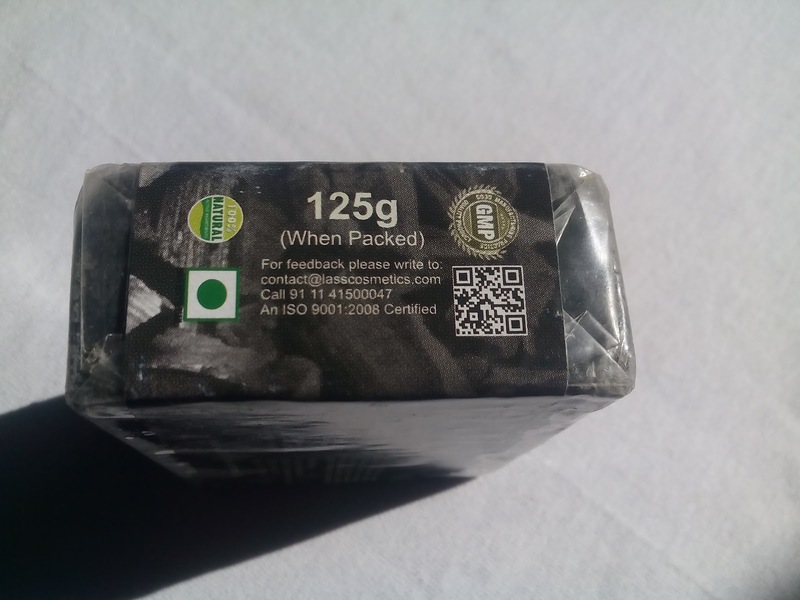 Multani mitti (Fuller's earth), Orange (Citrus sinesis) Peel powder. Moisten your face and neck. 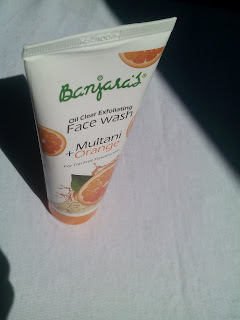 Take ample of quantity of Banjara’s oil clear exfoliating face wash and massage gently avoiding the eye area. The face wash is a light orange transparent gel with micro beads in it. It gives a nice glow to the face with out making it dry and stretchy. 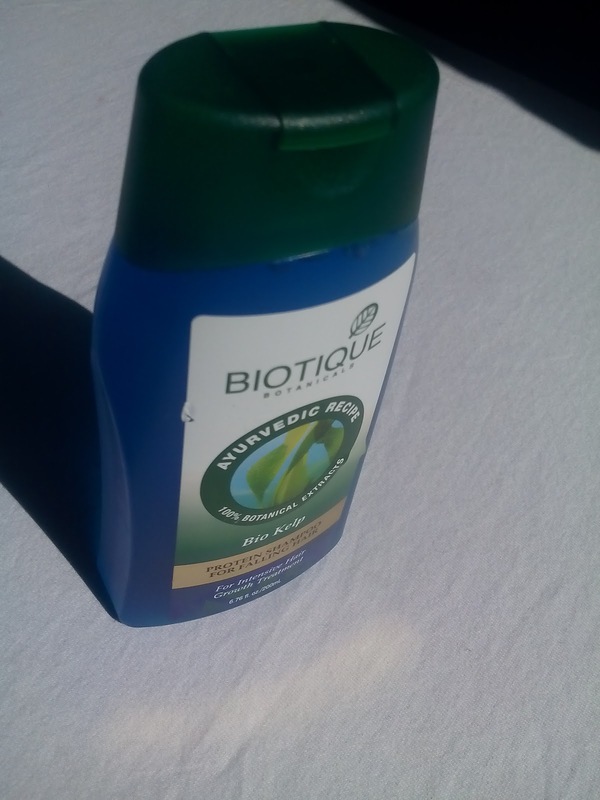 It also makes my skin soft and supple. 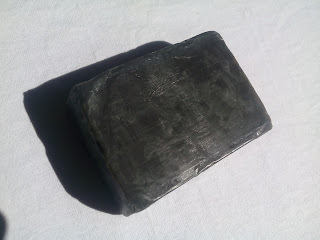 The consistency is thick hence can be massaged very well on the skin to get rid of all the dirt. A small amount is enough to lather the face and neck. 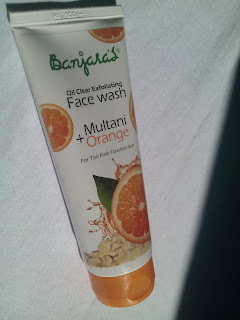 This face wash is perfect for daily use face wash and It really provides a flawless skin after every wash. 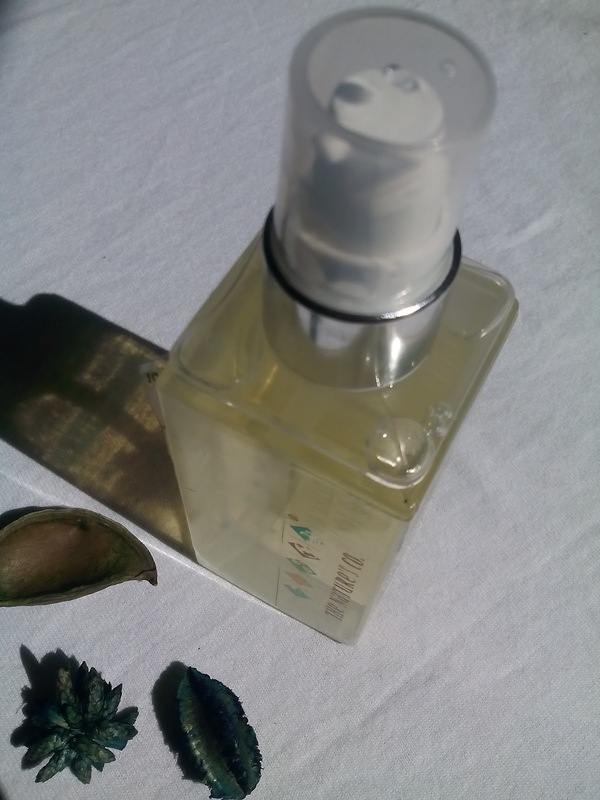 Kelp is a cold water seaweed high in vitamins, nutrients and minerals, coveted throughout the ages for its hair growth and strengthening properties. 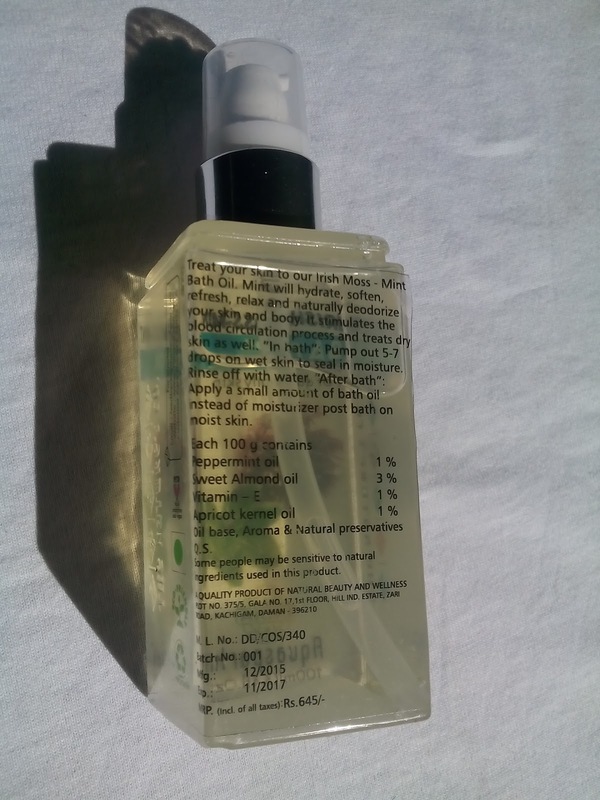 This nourishing shampoo is a blend of pure kelp, natural proteins, peppermint oil and mint leaf extract, to gently cleanse hair and invigorate the scalp for fresh growth and healthier shine. It comes in a transparent plastic bottle with green cap. 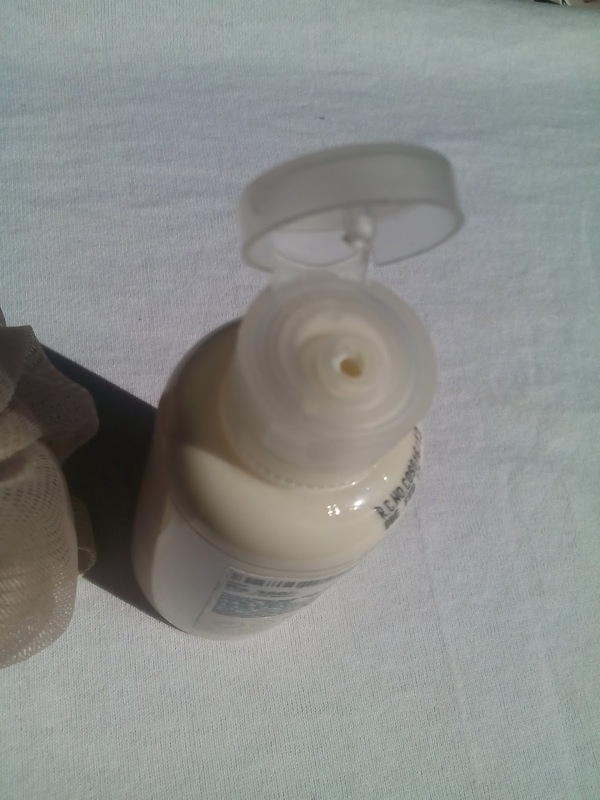 The cap shuts tightly so it's definitely travel friendly. 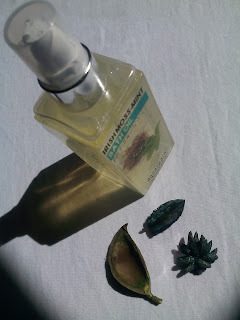 Apply liberally to wet hair and work lather through strands, from scalp to ends. Biotique Bio Kelp Fresh Growth Protein Shampoo is medium thick and runny in consistency. 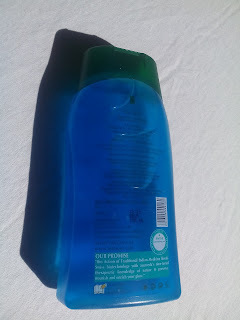 The shampoo is deep cool blue in color with semi liquid cosistency. It smells like a menthol which is very relaxing. 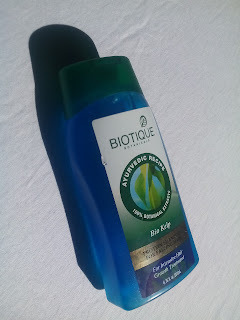 My hair was squeaky clean when I diluted the shampoo with water and then applied. It gives my hair a shiny appearance. I have noticed reduced hair fall with each use.